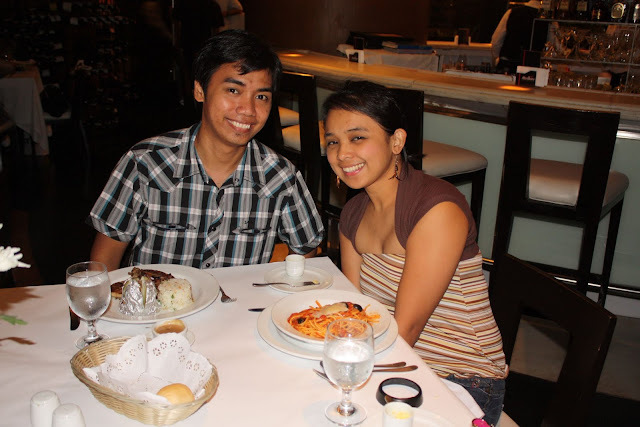 I love food discounts & promos and for this week together with my food buddy we tried, Nuvo! Yes! The famous and controversial restaurant at Greenbelt 2 since some local celebrities, politics, businessman and even different nationalities came here for a serious meeting place or even has an after dinner to relax and unwind. 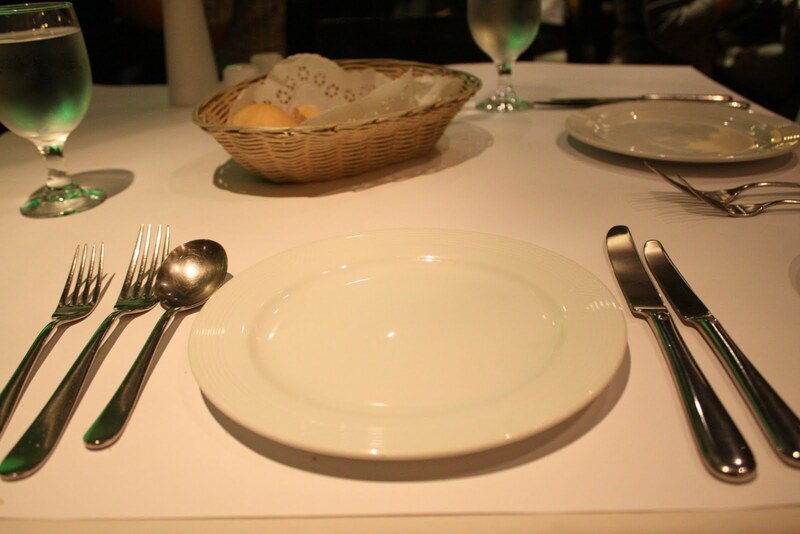 I just felt that excitement of trying another restaurant and make my own assessments about their dishes. Before anything else, I want to discuss with you about the deal. 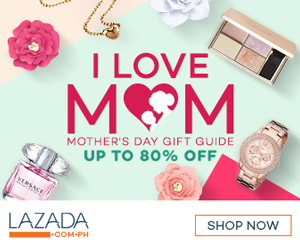 I registered at CashCash Pinoy, another online site that uses Internet and social media in the Philippines to connect consumers to cool stuff! They offer discounts, promos and great deals in restaurants, beauty products, exciting and adventure games, etc. The deal is “50% Off! Only Php 500.00 for worth Php 1,000 worth of Food and Drinks at Nu.Vo in Greenbelt” with only 3 terms and conditions; 1. Valid from April 1 to June 30, 2011, 2. Not valid with other offers and lastly, 3. Maximum of 3 vouchers per visits. Amazing deals! After I read some reviews about Nuvo, I immediately asked Ian about this treat; thank God he agrees with me to get 1 coupon for us. This restaurant is offers Mediterranean fusion cuisine with modern decors, well-lighted stylish interiors and sophisticated exteriors. I love the how this restaurant easily blends the mood of their customers as it converts from idealistic and romantic date to an energetic bar during late hours. 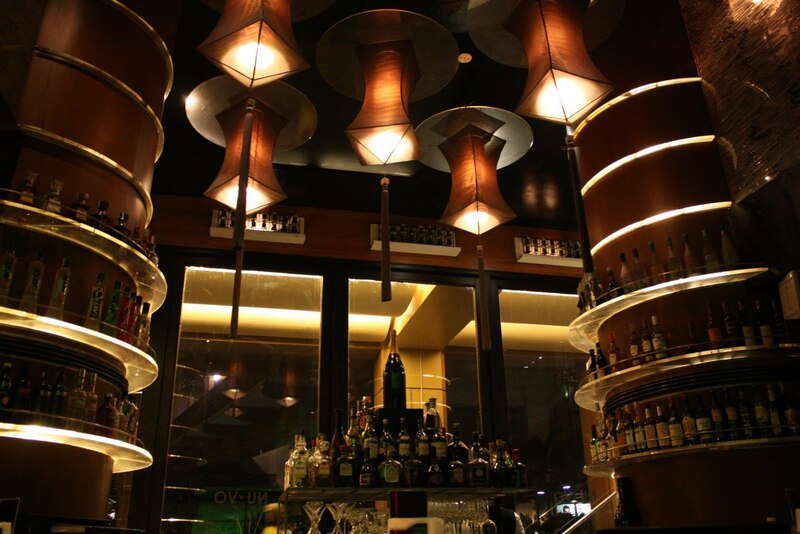 Well, the ambiance is chic and that wooden furniture really caught my attentions. 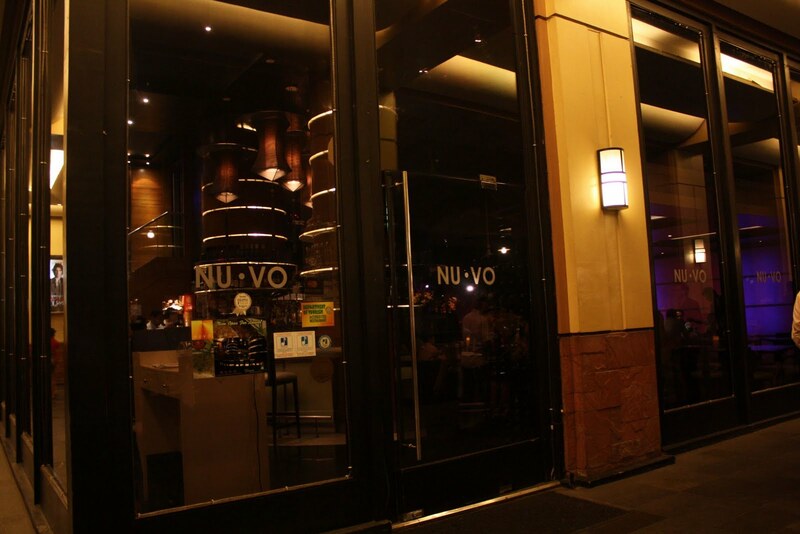 By the way, Nuvo has an intimate dining area inside and well-equipped bar and al fresco dining area outside. Since this is our first time in Nuvo, we really don’t have any idea about the food they offer; we will just go after the menu and for the staff’s recommendations. 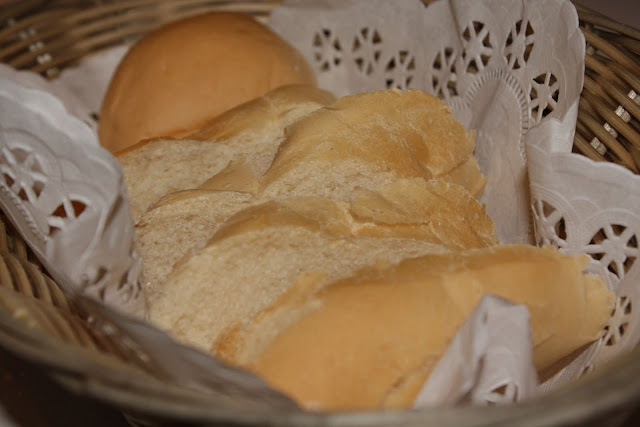 While browsing on their menu, my eyes pop and tongue slowly twisting, it’s very difficult to decide what to order because of various scrumptious foods they offer. The staffs are very attentive and well-mannered, you can see that they are relaxed and enjoyed what they are doing. 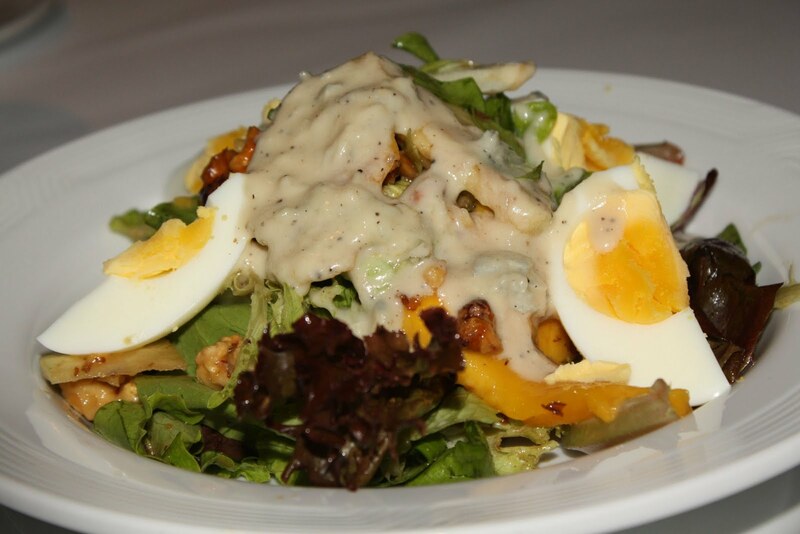 Ian decided to have some appetizer first, so he opted to try Salad Nu.Vo, one of their signature starters – Salad of mango, walnut, pear, free range egg and mesclun in blue cheese fondue. 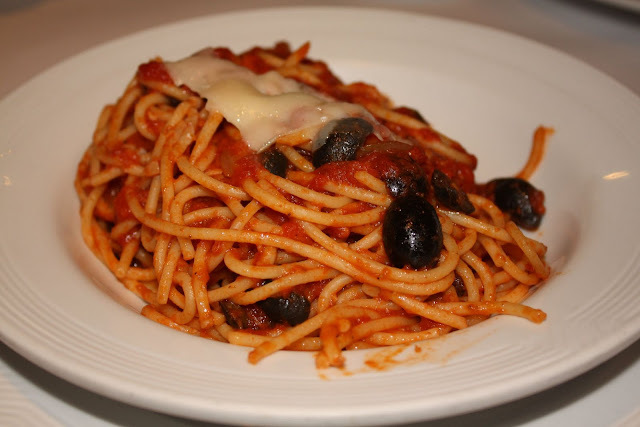 I chose Pasta Putanesca, spaghettini with tomato concasse and anchovies, capers and black olives. 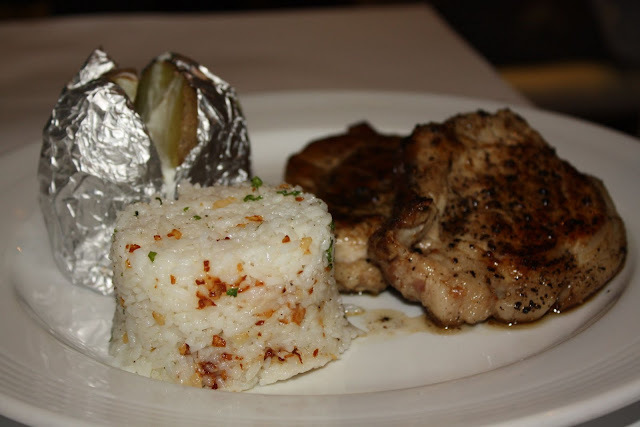 While Ian opted to try Grilled Pork chop in Mushroom sauce which offers 2 choices of plain rice, garlic rice, baked potato, gratin potato, homemade fries, mashed potato, mixed vegetables or salad. Among these choices, he picked garlic rice and baked potato. The pork chop is well-done and tasty, you can even bite it easily. The foods were okay, they are really mouth-watering. Overall, I love all the meals we’ve ordered but still the price range is a bit high. interesting place and great to know that it is really mouthwatering, because it does looks very delicious! btw, happy couple picture looks really sweet and both have nice smile! happy Friday and happy cambodian new year! :) -PinayMum - Mommy's Life Around...! I agree... very expensive ang food. Pero, since may discount voucher naman, okay na rin. :) The place looks awesome, by the way. The place look so nice and no wonder the food is expensive. Ang mahal naman ng mga pagkain. Kailangan ko pala talaga kumayod para makauwi ako kasi mahal na mga bilihin. the pasta and grilled pork chop are making me hungry :-/..they look yummy! Hi Rackel! Visiting back! I guess, tama nga sila lahat. Sosyal ang place pero grabe ang price considering that those foods are just the simple ones.